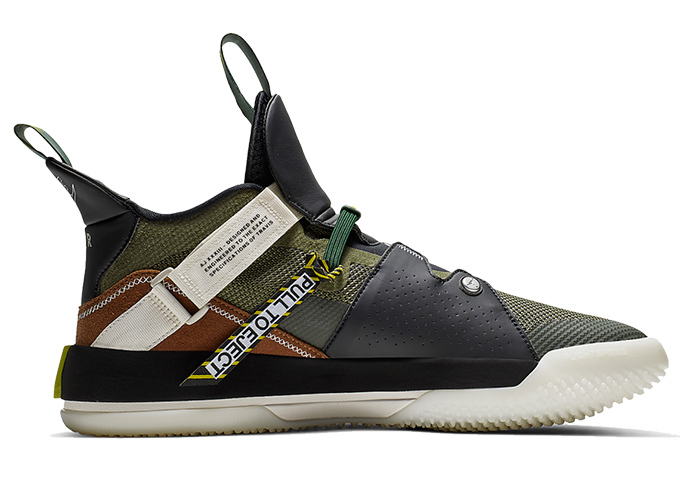 Continuing his run of successful collaboration projects, Cactus Jack links up with Nike once again for the NIKE X TRAVIS SCOTT AIR JORDAN 33. 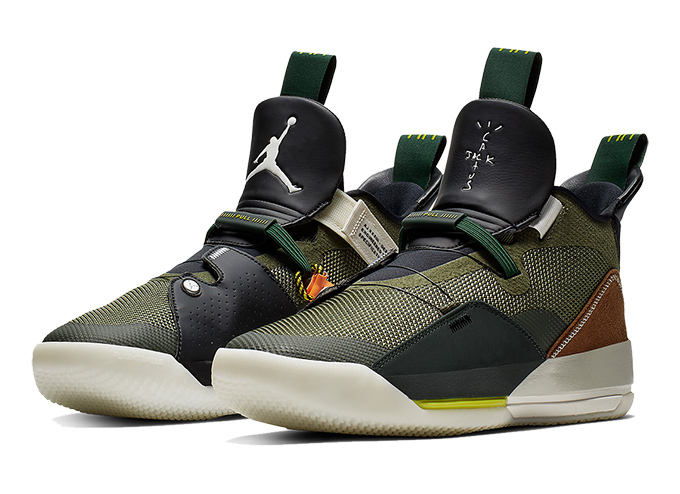 Make no mistake about it, this special Cactus Jack edition of the Air Jordan 33 will undoubtedly have fans salivating. 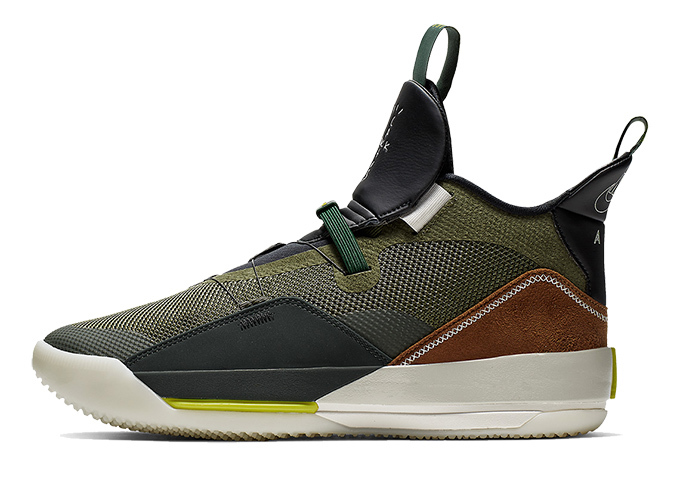 A smart and easy-to-wear colourway has the first box ticked straight away: Army Olive, Ale Brown, Sail and Black work perfectly with each other on this utilitarian-styled mid top masterpiece. 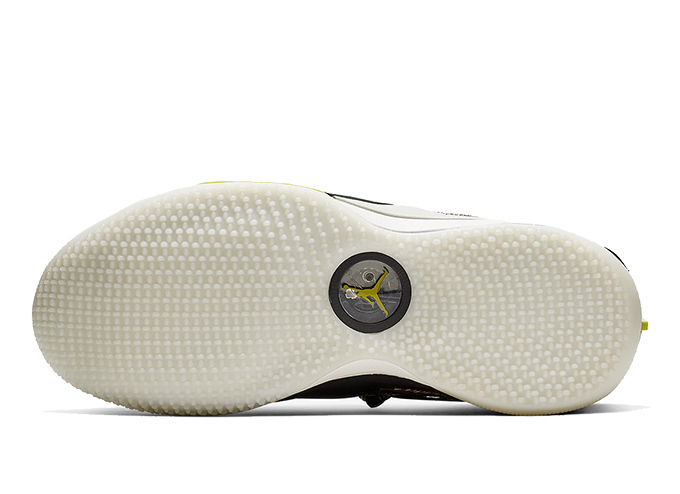 Scott’s record label identity features on the left tongue and insole, sitting across from the classic Jumpman logo that you’d expect to see, sealing the deal and making the collaboration official. 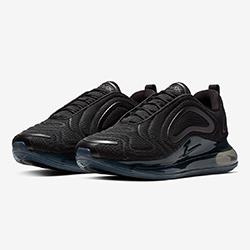 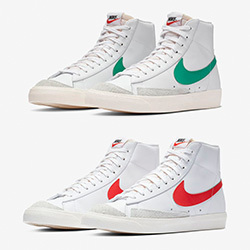 Whilst this design is still based on Jordan Brand’s performance foundations, there’s no denying that this special release is clearly geared for the lifestyle market: deluxe suede meets ballistic-style mesh across the upper section of the shoe, whilst a clean off-white midsole holds everything together underneath. 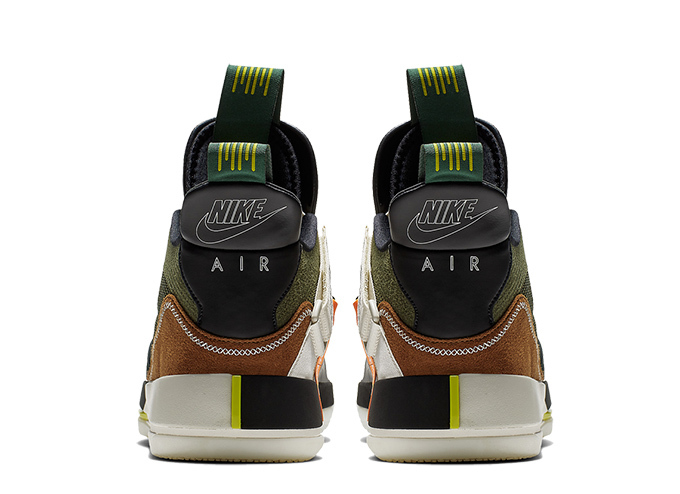 The NIKE X TRAVIS SCOTT AIR JORDAN 33 is AVAILABLE NOW: hit the banner below to find out where you can pick up a pair.